Click for a brief summary of the book of Galatians. Am I seeking to please men, or God? Can I not please both? Perhaps; but I cannot try to please both. My desire must be solely toward God, or it is not toward Him at all. I cannot serve God and mammon, for both are jealous; and God is rightly jealous. If I have been crucified with Christ, I can no longer live to the world. If I am living to the world, I have not been crucified with Christ. I have not entered into His sorrow. I have not entered into His joy. I have no part in his triumphs. I am not living in His world at all. How great need have I to be made just! How deeply is wrong become a part of me! How impossible I find it to eradicate that wickedness! I have tried every way but the one way that is efficacious. I have tried every agent but the One that can do it; that has done it, for uncounted millions. O Lord, increase my faith! Let me not, having known Christ, the splendors and the joys of His gospel, turn back again to the weak and beggarly rudiments of the world. Let not the ransomed slave seek again his chains. Let me recognize my liberty, let me glory in my privileges, let me use my new powers. Let me not turn my back on Canaan and long after the fleshpots of Egypt. If I am bearing the fruits of the Spirit, shall not I know it? Better, will not all around me know it? And if I fear that I am not bearing the fruits of the Spirit, that fear is quite sure to be justified in a barren life. Ah, let me be rooted and grounded in the love of God and man! I am to bear my own burden. I am to bear the burdens of my fellow beings. I am to let them bear my burdens! I am to live my own life. I am to live in the lives of others. I am to let others live in my life. Helping and being helped,–ah, how much that sums up the Christian life! Click for a brief summary of the book of Ephesians. What I know of God and of all good things I know not of myself. It is God who has opened the windows of my soul and let in all the light I see. If I would know more, I must be more acquainted with God. I must withdraw myself into the recesses of God’s Spirit, if I would range abroad among the glories of His worlds. What is the eternal edifice I am rearing for my soul to dwell in? Is it the hut of my foolish desires? Is it the leaning tower of my selfish ambitions? Is it the subterranean storehouse of my base greed? Ah, let me build with God and His saints, that my home may be a palace of heaven! My power is in what is within and not what is outside. My power is in what is given me and not in what I get for myself. I am strengthened not by possessions that can be handled and weapons that can be felt, but by the Spirit of the living God. I belong to the unseen forces–that is, when my earthly passions subside and I am of any force at all. No man is a dwarf. No man but may grow. No man but may grow to the highest. No man farthest from God but may come nearest to God. No depth but may become highest height. And I, even I, may attain to the measure of the stature of the fullness of Christ! My minutes are golden, my hours are great diamonds. Every day is a crown, and every year is a king’s ransom! It is by these hours and days and years that I am to buy up my kingdom. Alas, if I am a beggar still, I know where my kingdom has gone! I must have some armor, for the assault of evil is fierce. I must have some armor, for I am weak. Shall it be bravado? Pride? Philosophy? Ah, how flimsy protection do they afford! And how secure is my shelter within the armor provided by the Captain of all salvation! 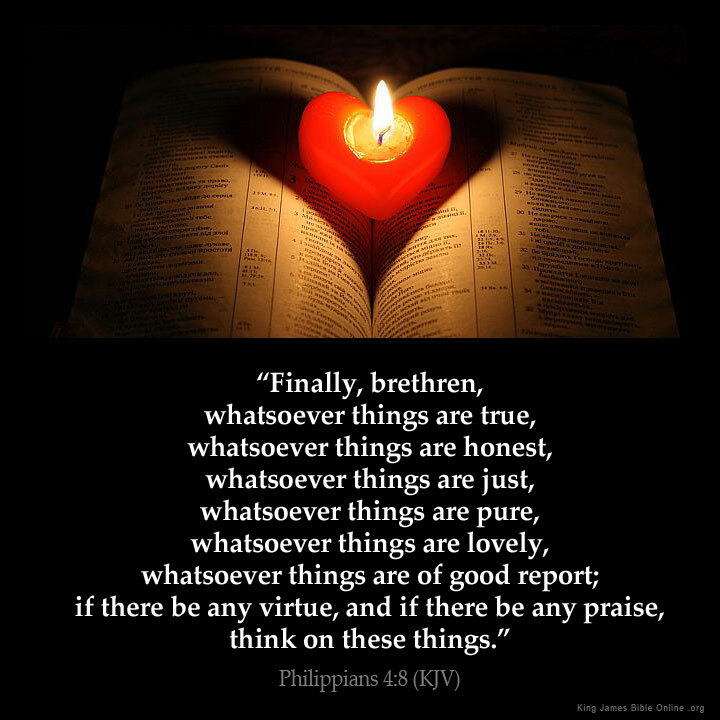 Click for a brief summary of the book of Philippians. If my life is Christ, as was Paul’s, then life is gain to me, and death is gain to me, and nothing can ever be loss to me. To be Christ’s is to be Prosperity’s, and Safety’s, and Joy’s. And if my life does not mean this to me, it means nothing to me that is worth while. How can I work out my own salvation? Is not all salvation of Christ? Yes, and it is He that works out my salvation, in me and through me. He sets up anew His cross in my life. He ascends it again; and lo! I hang there with Him! I have many goals; let me have but one goal. Mine is a crowded past; let me forget it all. Mine is an ambition-filled future; let me simplify it all. My calling makes many demands upon me; I will subordinate them all. I have only one calling, and that calling has only one goal; to be like Christ. I am not responsible for anything so much as for my thoughts. It needs not wealth to buy good thoughts. It needs not station or authority to exile bad thoughts. The best of all the universe is freely open to me here, if I will. Click for a brief summary of the book of Colossians. How I have fought against the Father! By what outrages have I tried Him! What taunts have I flung against Him! How have I despised His wrath! Surely if anyone ever needed an advocate, it is I. And surely if anyone ever had an Advocate, that one is also I. Continually I find myself seeking wisdom elsewhere than in Christ. Continually I look for wisdom from my own contriving, or from the devices of men. But Christ alone is wise. I have known it, I have proved it; and why do I go about my living as if I knew it not? I am what I desire. I throw myself into my ambitions. If they are worthy, they make me worthy. If they are ignoble, before long I also become ignoble. If they re attached to the fleeting things of earth, it is impossible for me to grow into fitness for the endless life. Gracious and salty! Is my speech what the speech of a child of God should be? Is it loving? Is it true? Is it kind? Is it bold? Does it leave its hearers happier? Does it leave them stronger? Does it leave them with a merrier light in the eye and with a more cheerful heart? Click for a brief summary of the book of 1 Thessalonians. In spite of myself, and even contrary to my desire and earnest hope, my life becomes an example. Unworthy as I am, insignificant as I am, men copy me, women copy me, little children copy me, friends copy me, strangers copy me and I am copied by those that never saw me, but copy from those that copy from me. And all this without my knowing it, or their knowing it! Paul sought to please, not men, but God. In this lay his strength with both men and God. Men he could not please, fundamentally, except as he first tried to please God. God he could not please except as he placed God’s desires first in his life. Is this, which was at the heart of Paul’s life, at the heart of mine also? It is far from enough that I go over to the Lord’s side. I must stand there steadfast. And I must do more than stand there; I must work there. And I must do more than work there; I must win others to stand there and work there. So much is involved in coming out on the Lord’s side! Ever to be with the Lord! Let me seek no other heaven than that. Where He is, sin cannot enter. Where He is, sorrow cannot be. Where He is, are all that are worth knowing. Where He is, is the work that is worth doing. Where He is, there are powers unlimited, and pleasures for evermore. Not in any brooding or melancholy, but in joyful anticipation, I would be ever expecting the end of my life, the end of the world. Let it come as a thief in the night, it shall not be night when it comes, nor shall the messenger be received but with outstretched arms and a happy smile. Click for a brief sumary of 2 Thessalonians. Do I look forward with certainty to the coming great day of judgement when the flaming fire will be the wrath of my God upon all disobedient? When the light of shining peace will be the joy of my God in all obedient souls? Oh, let me live day by day in that fear and in that hope! It is possible for me to become so firm in truth and in the practice of it that lies shall no longer turn me here and there, either the lies of man or of Satan or of my own foolish heart. And what peace will that be! What peace, and what power! Grant it, I pray Thee, through Thy grace, Lord Jesus! “The love of God and the patience of Christ!” Love and patience–the active and the enduring, the outgoing power and the power at home! I shall be well equipped indeed if the Lord direct my heart into these two. Click for a brief summary of the book of 1 Timothy. Why does Paul write so earnestly of “a faith unfeigned?” Because it is so easy to feign faith. It is so easy to cheat ourselves, and others also, into the belief that we have a faith that we have not, nor even the glimmerings of it. We test our other possessions, but we have no possession that so needs a testing as our faith. When the unseen God seems vague and far away, I have Christ, who is near, and has been seen of men. When the almighty God seems too awful for approach, I have Christ, who took little children in His arms. When the just God seems implacable in His wrath, I have Christ, who will forgive till seventy times seven. To me, even to me, has God given a diocese. I have a company, large or small, over whom I am set as leader in holy things, as example and admonisher, as friend and protector and teacher. If I do not anything else, this is to be done. If I fail everywhere else, in this I dare not fail. I must take heed where I find my profit. For there is profit in many things, but there is great and eternal profit in few things. And if I get the lessor profit from the lesser things, I shall surely become a little man; but if I get the greater profit from the great things, I shall become a great soul. If I care not for my own household, now am I worse than an unbeliever! Indeed, what belief have I in the great things of the gospel, if I do not desire them first for my own? How have I laid hold of eternity, if I have not laid hold of my dear ones for eternity? If I have money, it is life, to be used for the purposes of life. If I have not money, I may still have life, and all the uses of life. Godliness is gain. Godliness is wealth. Godliness is all the gain and all the wealth that a Christian dares to set his heart upon. Click for a brief summary of the book of 2 Timothy. If my belief rested in my own wisdom, it would indeed be hesitancy; but it is firmly based upon a Person, who is Wisdom itself. If my reliance were upon myself, it would indeed be fear; but I rely upon a Person, who is Strength itself. My confidence is based upon the Rock that underlies all rocks. I am a soldier on service. It is no hardship for a soldier to fight; that is his glory and his delight. It is no final hardship for a soldier to avoid the entanglements of the world that would keep him from fighting, however for the moment it may seem grievous. If that were a hardship, he would be no true soldier. Here is the inspired Volume. How do I know that it is inspired? Because it inspires me! Because it is profitable more than any other book is, and in a way no other book is. Because it is complete for me. I have never found it wanting. I have never gone to it in vain. It is alone among books. It is the Word of God. I am to fight, but not forever. I am to run, but the long course has an end. Battles are not forever. Strain and stress are not forever. Possible defeat is not forever to be struggled against. Peace comes at last. Victory comes at last. Crown comes at last. And it is only a little way ahead. Click for a brief summary of the book of Titus. My heart makes my world. If it is defiled, my world is loathsome. If it is pure, my world shines white and beautiful. What I am is reflected back from everything I see. It is an easy and a comprehensive way to make a lovely world, this planting of God’s loveliness within. This is a world, not for gloom, but for soberness. The issues of life are too tremendous for trifling. While eternity is at stake, shall I play with time? My heart shall be light, for Christ is with me in the way. My steps shall be steady, for Christ is at the end of the way. How I need renewing in the spirit, a purifying from the world, a change of nature! How I need to be lifted up from the old life, to be lifted up so far that the old life will be out of sight, forgotten forever! And I cannot lift myself an inch from the earth. Ah, but I can be lifted up! Click for a brief summary of the book of Philemon. Christ is my Great Intercessor, but I also am to be an intercessor. I am to place myself between all that have wronged and all that have been wronged, and try to bring them together. Between men that have wronged and men that have been wronged; yes, and between men that have wronged and God who has been wronged. Let me strive for the beatitude of the peacemaker. Click for a brief summary of the book of Hebrews. I shall think of them as accompanying me about all my way, beautiful, great, pure spirits, strong to protect and uphold, wise to direct, loving to comfort. They have access to the Throne on high. They are mighty to help. Ah, but there is One that is greater than they all, wiser, and more loving. It is He that sitteth upon the Throne! It is He that is nearer than any angel. If I do not use the chance I have, where and how, through all the length of ages, may I hope for another chance of salvation? I see how every refusal confirms me in refusal. When I make the Great Refusal, how will it not invincibly confirm me in refusal? Ah, but I shall not make it! Every yielding to temptation hardens my heart. Every seeking of evil hardens my heart. Every excuse for sin hardens my heart. Every longing after sin hardens my heart. Every association with evildoers hardens my heart. Every minute spent away from my Savior hardens my heart. And every hardening of my heart stamps upon it more and more deeply the eternal doom. Tossed about in the storm of passion and temptation, there is yet a haven for me. That haven is in the heart of Him who was tossed about in every storm that assails me, beaten against every rock that threatens me, swallowed up in every darkness that hangs over me like a pall. There is my rest, in the heart of Christ! I, who am bidden to help others, how greatly do I myself need help! How weak am I, who am to strengthen others, and how foolish, I who am to give others counsel! If I have not a High Priest, how can I be a priest? If I have not a Savior, how can I save? Everywhere sand! Sand, sand, drifting sand, in which no anchor holds! And the storms of life beat my boat about, while there is no harbor in sight. Ah, but I can throw my anchor upward! There is anchorage there that holds, and there is such mooring nowhere else. I need to be saved unto the uttermost. Yes, for I have sinned unto the uttermost. Yes, for I have wandered unto the uttermost. Nothing less than the highest can reach to my depth; and nothing less than the highest is given me for my Intercessor. It shall be a new covenant, this that I make with the Most High. A new covenant, because I want a new life. A new covenant, because I have a new life, the old things being gone forever. A new covenant, because it is one newly made for me by my Savior; for me, and for me only, among the sons of men. Does my conscience need to be “cleansed from dead works?” Yes, if it knows what I am doing and not what my Savior has done; if it even grieves over my sins and does not rejoice over my salvation; still more if it exults over my good deeds and forgets my sins. It is indeed a fearful thing to fall into the hands of the living God, but no more fearful than first to fall into the hands of my passions and sins. If I sin willfully after I know my folly, there is the condemnation, and at once my penalty begins. For I have trodden under foot the Son of God. Faith is possible for me,–not my own faith, but Christ’s faith given to me. Then all these lives are possible for me,–lives of Abraham, and Jacob, and Moses, and Gideon, and Elijah; for they were what they were only because of their faith. Oh, I believe! Help Thou my unbelief! Let me name any one of the millions of great and good men and women that have passed into the heavens. If he or she were here by my side, watching me, knowing my inmost thoughts, how different my life would be! But I am compassed about very really by just such a cloud of witnesses, and among them is the chief Seer of all! It is my stranger, this one that needs me. He may not speak to me, yet he is my stranger. I may never see him again, yet he is my stranger. For he is Christ’s stranger, and Christ speaks to me. He is Christ’s stranger, and I shall see Christ again.